Meet the startups who were selected for the 11th ACE Incubation Program. On April 9, we kicked off the #11th edition of the ACE Incubation Program with a fresh batch of startups! 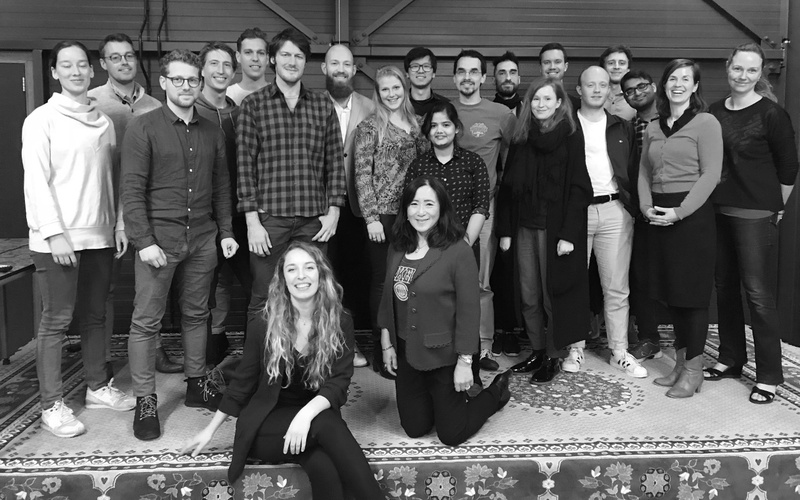 A total number of 20 participants, representing ten teams, arrived at Startup Village on Monday to start their three month startup journey with a one-week intensive Bootcamp program. During the week, the startups will take a deep-dive into the world of entrepreneurship and learn what it takes to become a business owner – from setting up a business model, to pitching a product, to marketing, sales, finance and everything in between.. the goal after one week is for them to establish a road map for the upcoming months and turn innovative ideas into actual business! Returning program lead Gigi Wang has joined us from San Francisco for one week to introduce the Silicon Valley mentality to our startups and prepare them for what’s ahead. 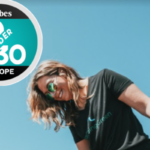 Gigi is a leader in global entrepreneurship and innovation in Silicon Valley who heads her own consulting firm and is connected to entrepreneurship programs at UC Berkeley’s Sutardja Center for Entrepreneurship and Chair Emeritus of the MITEF/Stanford Venture Lab (VLAB). Our new startups reflect a great mix of experts in fields such as AI, chemistry, aerospace engineering, robotics and much more! Below, we proudly present the teams and their innovative concepts. 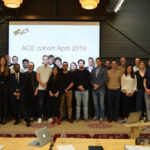 If you would like more information about our participants or would like to get in touch with any of the startups, please contact us at office@ace-incubator.nl. Recure creates a deep learning inverse problem solving algorithm that reconstructs sparsely sampled MR images, allowing for faster scan times (founders: Kai Lønning, MSc AI / UvA & Patrick Putzky, PhD Machine Learning, UvA). CDCS builds a suite of intelligent software making use of the chemical intuition and knowledge of a human researcher, which makes the analysis of accurate simulations in computational chemistry very smooth (founders: Vivek Sinha, PhD Computational Energy / UvA). Strike-f(x) offers a boxing bag that can measure the impact of its user’s strikes and give immediate online feedback about how hard they are hitting the bag (founders: Dominic Orth, PhD / VU & Nilas van Woersem, Chris Ashbrook, Luke McDonic). iMRsion provides a system consisting of color and depth cameras to hospitals and medical schools for application in their operating rooms (founders: Alexander Maas, MSc Aerospace engineering / TU Delft & Da Lin). Banky enables its users to gain in-depth insights into their expenses. 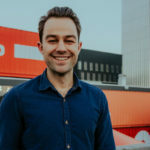 By analyzing expenses, Banky assists users with setting up, checking and reaching their personal savings goals (founders: Joran Iedema, MSc Data Science / UvA & David Knap, Wouter Florijn, David Schog). X+Y is an employment agency for data scientists, that facilitates societal research projects on the side (founders: Jacqueline Heinerman and Milan Jelisavčić, PhD evolutionary robotics / VU). LIVE LOOP introduces software for the music industry for looping music (founder: Josep Vicent Garcés Pellicer, MSc Music and engineering / Conservatory of Amsterdam). Attention Architects optimizes visual communication and improves UX/CX using mobile eye-tracking and innovative biometric measurement techniques (founders: Berno Bucker, PhD experimental and applied psychology & Daniel Schreij, PhD cognitive psychology). Eventuation aims to create understandable, safe and easy to use eHealth and mobile health products for patients (founders: Gaby Wildenbos, PhD in medical informatics / UvA-AMC & Linda Dusseljee-Peute). HaemoPulse is a device for blood-oxygen saturation measurement (founder: Alan Riordan, PhD / UvA-AMC, UU-UMC). Once the startups have completed the one-week Bootcamp program, they will return every Friday morning for the following 11 weeks for more in-depth workshop sessions. Each startup will be matched to mentors who will guide them and offer support where it is most needed. Learn more about the ACE Incubation Program on the website or make an appointment via office@ace-incubator.nl.